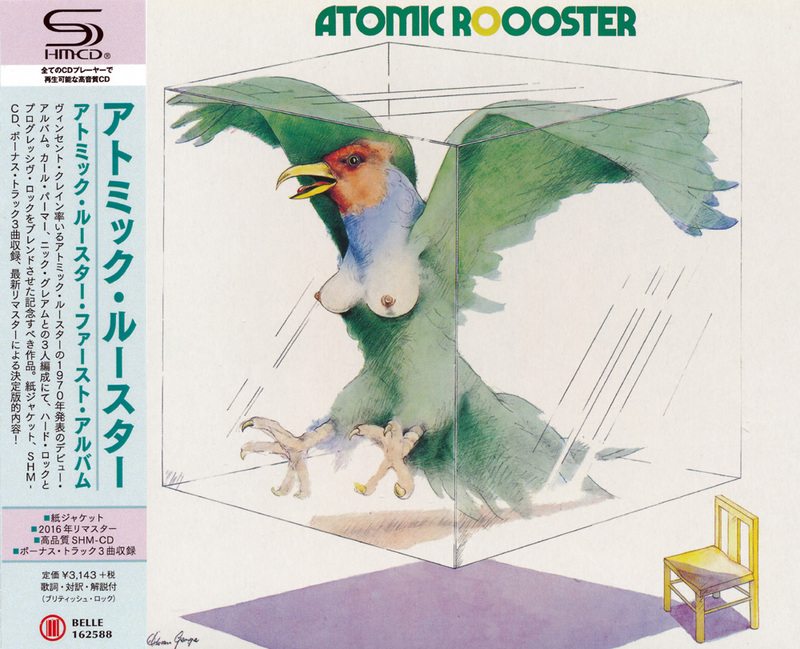 The incipient incarnation of Atomic Rooster -- with Vincent Crane (organ/vocals), Nick Graham (vocals/bass), and Carl Palmer (drums) -- was together just long enough to document its debut, Atomic Roooster (1970) -- (note: the extra O is intentional). Prior to the last-minute addition of Graham -- the only bassist Atomic Rooster ever had -- the band emerged from the remnants of the then recently defunct Crazy World of Arthur Brown. The material was primarily courtesy of Crane and consisted of heavier sides. His versatility is evident throughout the impressive array of styles ranging from the folk-inspired pastoral "Winter" to the bluesy horn arrangement heard on "Broken Wings." This directly contrasts driving rockers such as the album's edgy opener, "Friday 13th," or the aggressive "S.L.Y." "Decline and Fall" is a jazz-infused number boasting some exceptional if not incendiary instrumental interaction, most notably from Crane and Palmer. Lyrically, Crane reveals his penchant for dark imagery, including the fatalistic "What is the point of going on?" chorus that runs through the aforementioned "Winter" or the sexually snide "And So to Bed." Support was bolstered by strong live appearances, positive word-of-mouth, and a few significant BBC Radio sessions -- all of which resulted in Atomic Roooster making a respectable showing at number 49 on the U.K. LP charts. 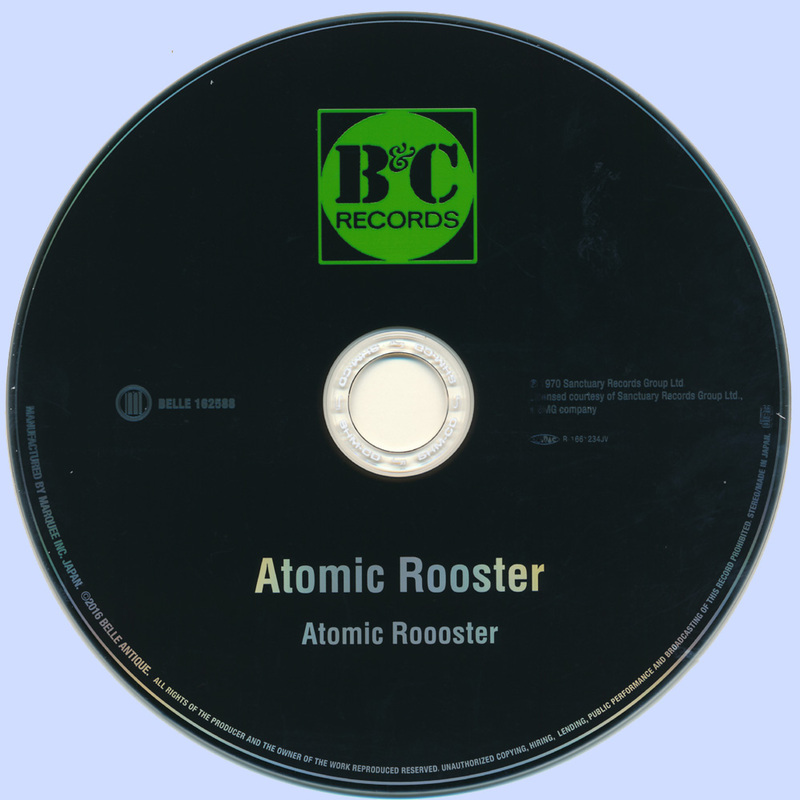 By the time the platter was picked up by Elektra Records in North America, the personnel had already changed with John Cann (guitar/vocals) replacing Graham. In an interesting move, they decided that Cann should also overdub guitar parts to "S.L.Y." and "Before Tomorrow," as well as provide a new vocal to "Friday 13th." The transformation didn't end there, either, as the original running order was also significantly altered. Parties interested in hearing both should locate the 2004 reissue, as the supplementary selections feature the U.S. version(s), plus a pair of uniformly excellent selections broadcast on BBC Radio -- "Friday 13th" and "Seven Lonely Streets" (aka "Seven Streets") from Atomic Rooster's follow-up LP, Death Walks Behind You (1970). Of further historical note is that the live-in-the-studio BBC recordings were documented less than a week before the departure of Palmer, effectively ending the first lineup.